Fast food chains - including McDonald's and Taco Bell - and candy companies are spending far more money to advertise unhealthy food to black and Hispanic children than they are on marketing geared toward white youth, a new report reveals. On TV networks with mostly black audiences - like BET and OWN - 86 percent of the total 2017 advertising spending for food companies was marketed junk food, sugary drinks and unhealthy snacks. 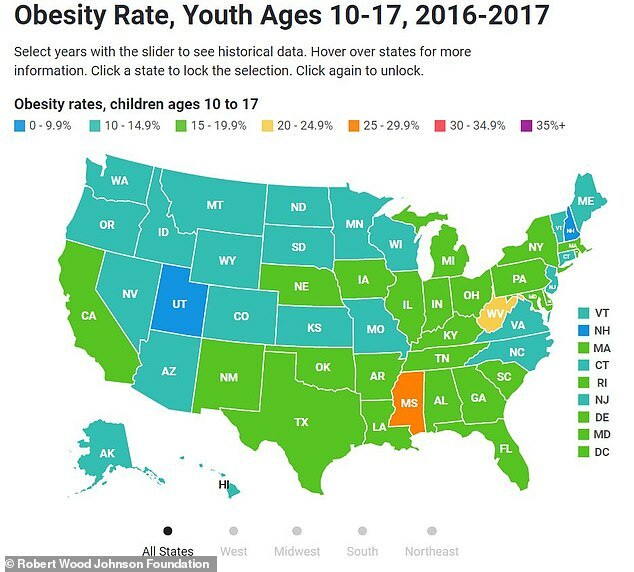 What's more, young people were seeing those advertisements more than any other age group, said the report from the Rudd Center for Food Policy and Obesity at the University of Connecticut. This study comes after many of these same companies promised they would be rolling out and healthier food options and establishing 'corporate responsibility programs' to promote health and wellness, the University of Connecticut authors said. When it came to fast-food restaurant brands on Spanish-language TV, McDonald's, Subway, Taco Bell and Wendy's spent the most on targeted ads. On TV networks with a majority black audience, the top-spending chains were Arby's, Burger King, Domino's, Taco Bell, and Wendy's. 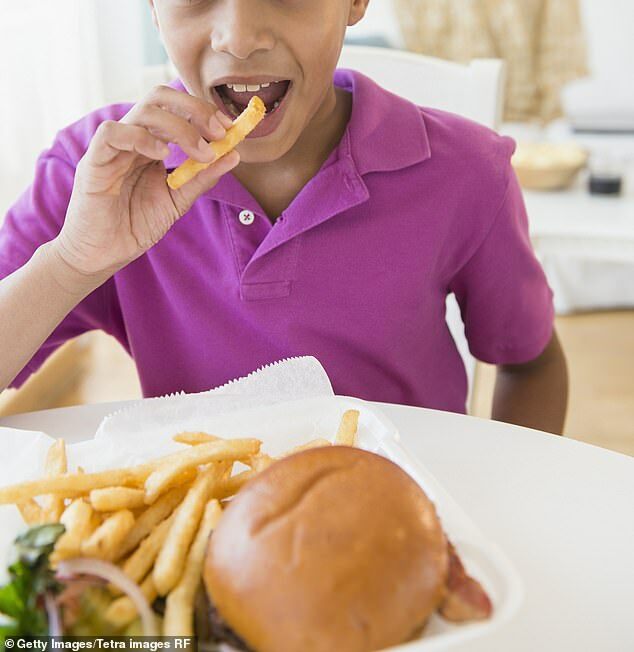 'Those products - candy, fast food, sugar-sweetened beverages - are not anything that anyone should be encouraged to consume,' lead author Dr Jennifer Harris, the Rudd Center's director of Marketing Initiatives told DailyMail.com. 'The shame is they're targeting black and Hispanic youth, who also have the highest rates of heart disease, diabetes and hypertension and these foods have long-term negatives effects on these kids' health. 'These companies have made a lot of pledges and corporate responsibility initiatives to encourage healthier choices,' she said. Only three percent of all advertising spending was on food in the 'healthier product' category including water, 100 percent fruit juice, nuts and fruit. 'At best, these advertising patterns imply that food companies view black consumers as interested in candy, sugary drinks, fast food, and snacks with a lot of salt, fat, or sugar, but not in healthier foods,' said co-author Dr Shiriki Kumanyika, chair of the Council on Black Health at Drexel University, Dornsife School of Public Health. 'I think they show that companies are really not supporting good health,' said Dr Harris.